Colorado Mountain School is Colorado's premiere mountain guide service, offering climbing and hiking outings from half-day family trips to international expeditions. We have been Rocky Mountain National Park’s exclusive technical climbing concessionaire since the Park’s creation in 1915. Our mission is to provide unparalleled customer service and world class climbing and instruction, while setting the standard in professional guiding. CMS is the largest guide service in Colorado, is accredited by the American Mountain Guides Association, and has more AMGA certified guides than any other guide service in the state. 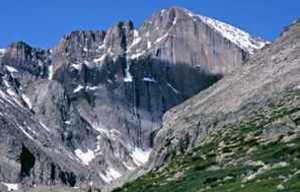 We offer world-class rock climbing and hiking for all ability levels in the Estes Park Valley. For first timers and beginner climbers and hikers, our outings are designed to provide you with a wonderful experience in the mountains. Whether you want to push your limits on a steep rock face or take casual stroll through a pristine meadow, our guides will give you an experience that you and your family will remember forever. 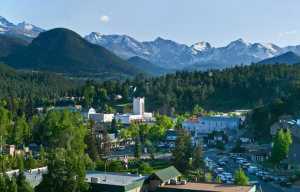 CLIMB: Estes Park offers world-class rock climbing for those of all backgrounds. A wide variety of routes, at all levels of difficulty, will provide an appropriate challenge for every member of your group or family. HIKE: Explore the trails of Rocky Mountain National Park with a professional mountain guide. We will tailor your outing to meet your group's wants and needs while leading you up some of the area's most iconic peaks and scenic trails. Join by yourself, or sign up the whole family!